corpus for them. Incepted by the Government of India, EPFO (Employees’ Provident Fund Organization) is the largest social security organization in India. E-Sewa: With this service, you can avail various facilities like update KYC information, receiving passbook linked to UAN, download UAN Card, and many more. The e-sewa service has been provided for all employees in the portal, using your UAN you can register for this service. Passbook and claim status: Through the portal, you can now update and modify personal details and basic KYC details online. 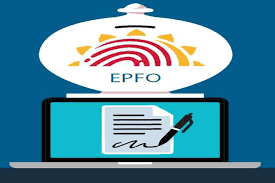 EPFO members can also view their passbook through the online portal and also check their claim status. By sending an SMS, you can also get details such as KYC status, current PF balance, and last contribution. Also, by giving a missed call to number 011-22901406, you can get those details by SMS. In-operative accounts: You can easily track any old or dormant in-operative EPF accounts that have been lying idle, with the inoperative accounts online helpdesk. With the help of online helpdesk, you can track your old inoperative accounts. By providing some previous employment details, you can also get them transferred to your present account.